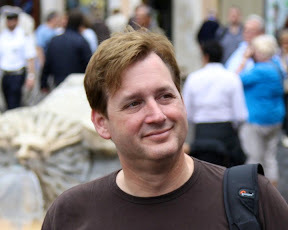 As many of you know, I totally love my electronics, computers, gadgets and cameras. And the only way to really enjoy them is to "have them with me"! So at the end of the day, it is alway a quest to find the right bag/luggage/backpack/etc. to get the job done. 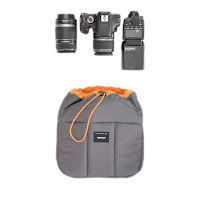 Now my gear can include quite a bit including a full-frame (larger) Digital SLR camera, some larger zoom lens, a flash, tripod, 13" Macbook Air or 15" Macbook Pro, an iPad, Sony Playstation Vita, Nintendo 3DS, a Canon S100 pocket camera, some work papers, power supplies and cables. Now each product i reference below might not carry all this equipment but I am looking for the right bag for the right occasion. 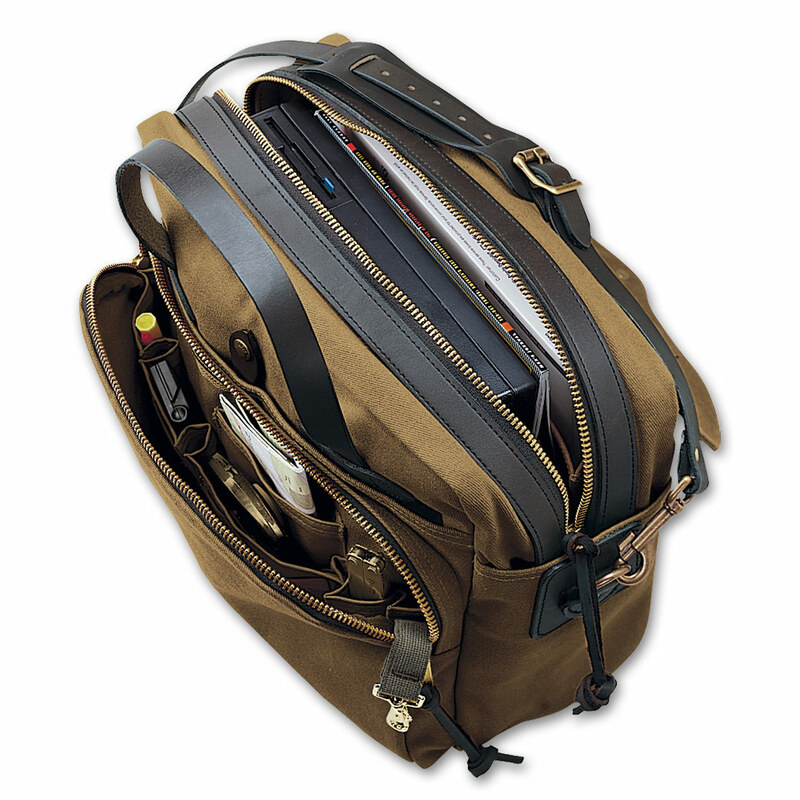 And at the very top of my priority list is a bag that can handle good sized pieces of equipment but is at the same time small, light and durable to fulfill its function. I need solutions for the everyday commute, something to haul my camera gear for an afternoon out and about or when traveling abroad, luggage for an overnight or week-long excursions. The scenarios are endless and so are the options. I can easily see a half-dozen bags I typically use each and every month. 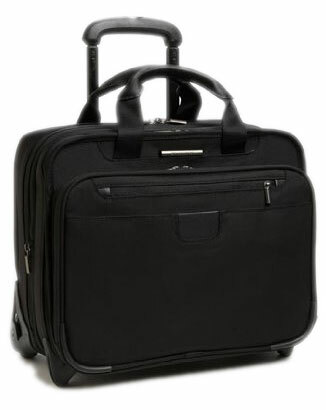 So the following is a selection of luggage I have or wish I owned after some extended research and tested. Okay, let's start with the everyday solutions. Now, I have the usual laptop, iPad and some small gadgets I carry between home and work. Most days I like a casual piece that is rugged, trusted and secure...but when I am heading off to a meeting or something I like a more professional solution. Depending on your needs, I will provide a few everyday bags to get you and your stuff to the office (or Starbucks)! 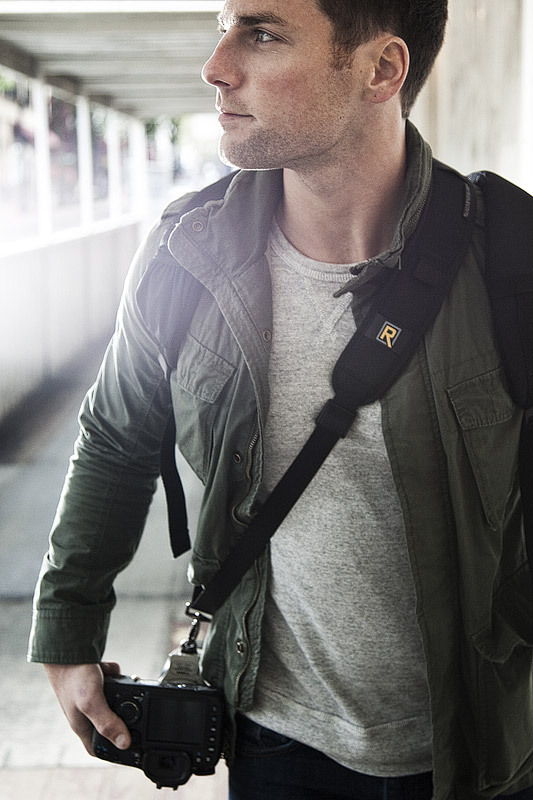 If you are more of the backpacker variety and are looking for that pack to make your daily commute with...I love the Crumpler line of products from Australia. Not only are they an incredibly quality piece of work, they also have personality. These pieces speak for themselves. 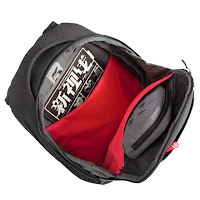 While they have a wide assortment for every conceivable application your laptop, travel and camera gear...for the backpack folks looking for a general laptop commuter or travel bag I would lean toward their newer Crumpler Dry Red No. 5. I would be remiss if I didn't talk about my trusty Tumi wheeled laptop bag, I have the previous version of their latest Alpha Deluxe wheeled laptop case for many years and can't speak more highly of it, the company or their service. This is my go to bag for extended travel and needing to carry a fair amount of gear and materials. I can really load this thing down with some heavy stuff which could includes a large 17" laptop, iPad, camera gear, portable game system (or two), cables, chargers (when are we going to get to a universal standard for charging devices!) and probably a few backup print outs of presentations or reading material for the flight. And all this can go with me onto the plane and will even jam under a seat in extreme cases or easily go in an overhead bin. It is only too big as a carry-on for those really small commuter flights and a few small regional jets I find in remote parts of Asia and abroad. Beyond that, this is it. If I am heading off to London or Sydney...this is the bag going with me. Other small backpacks I currently like include the Kata 3N1 series (v20 - $80'ish), ThinkTank Streetwalker ($150) and the Crumpler Karachi Outpost (S - $230). 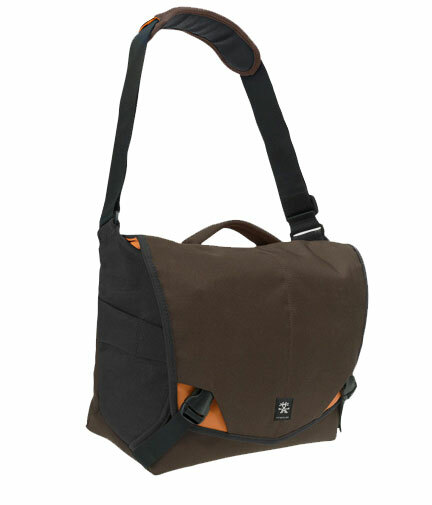 And if I had to pull the trigger tomorrow on a new bag to replace my Flipside 200...it is a toss-up between the ThinkTank and Crumpler. I really need to play with those some more to get a better feel. Two messenger bags I really like from my initial research are the Crumpler 7 Million Dollar Home and the Tenba Small Messenger. I want to spend more time with them but they are both big enough to hold a camera body and a couple good sized lens. Crumpler makes an array of smaller and larger sizes of the Million Dollar Home series depending on the camera gear you are taking with you. Last but not least is the logistics of getting all my electronics and camera gear to a new city for an extended stay. As I mentioned, I tend to have my Tumi Wheeled Laptop case that carries a fair amount of computer and gear and I will also haul along my Lowepro Flipside 200 with my camera and a couple lens. Some of my additional camera stuff can kinda fit into the Tumi. But there are occasions when I want to have it all! 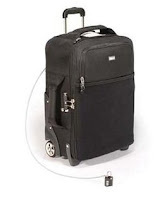 That is when I need to roll out a larger, wheeled camera bag. For that, I rely on the ThinkTank International v2.0. The ThinkTank International v2.0 meets all the international carry-on standards which is key as you really don't want to check all this precious gear. But should the occasion come that you need to check this bag, it comes with a TSA combination lock to lock zipper. The bag also has a security plate with a unique serial number to help you retrieve it in case it is lost or stolen. Even though this case is visually small in appearance and easy to stow on a plane, it can actually carry a substantial amount of hardware. Imagine two pro-sized Digital SLR cameras, two flashes, four large lens, your 15.4" laptop and assorted other pieces of equipment. And on the side of the case you will find a handy tripod carrier. 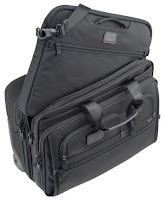 This bag really helps out if you have a wide assortment of camera and video camcorder equipment to bring with you. 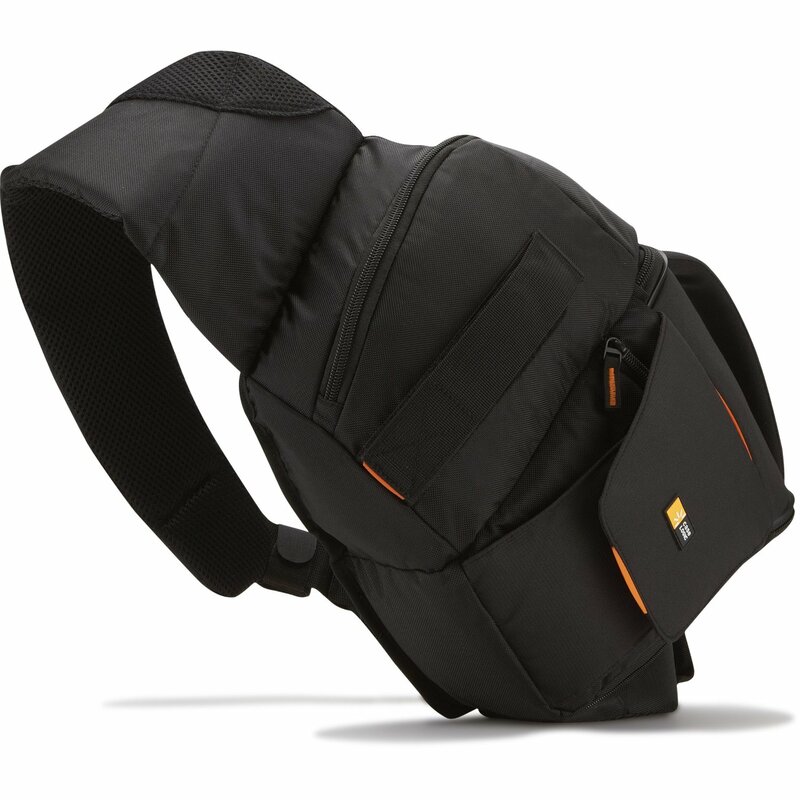 I previously mentioned in this piece that I was interested in the Sun-Sniper strap for a messenger bag. If you are still using the camera strap that came with your Digital SLR or larger consumer camera...you really should look at a sling/strap. These are awesome! I have recently been testing out the Black Rapid RS-5. This type of sling takes the weight of the camera off of your neck and also makes it very easy to grab, aim and fire before the subject you wanted to take a picture of is gone! While the RS-5 worked well, I felt the shoulder storage compartment was too small, yet too heavy and caused the top to slide down on occasion. I have since moved onto the RS-7 model ($60) which is even $10 less and does exactly what it is suppose to. I know what you are saying...$60 for a camera strap????!!!!! But trust me, if you are carrying a decent sized camera around all day...this is a life-saver! All of these products listed are of the highest quality and something I would be proud to own. 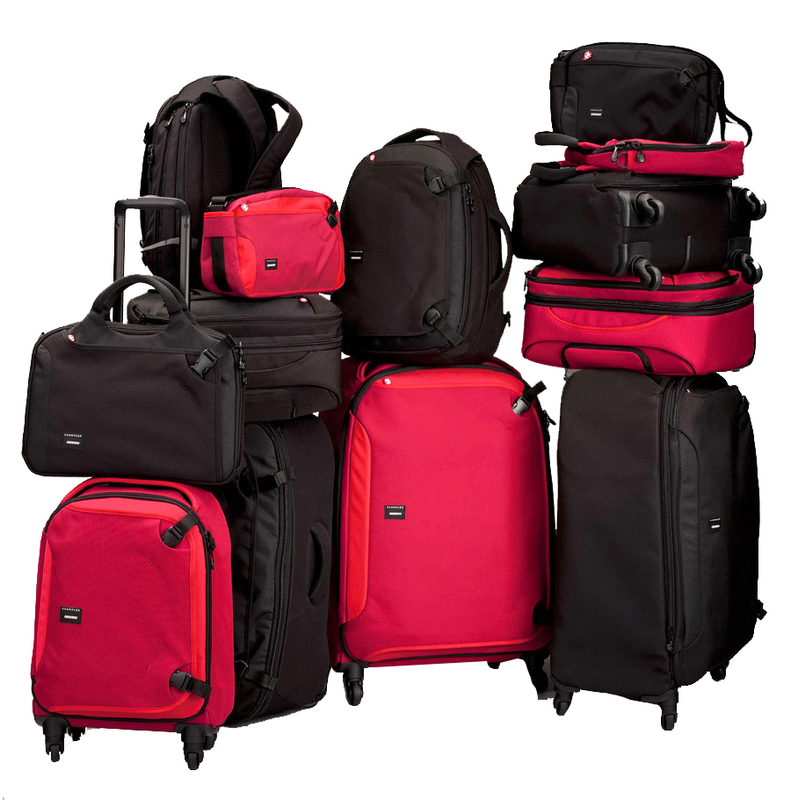 Yes they all have their limitations and it will be up to you to decide if one bag is better for your needs than another. 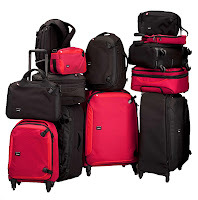 I would also point out that many of the bags I have talked about have smaller and larger siblings should your needs be slightly different, just check out the internal and external dimensions on the products websites for that level of detail.